You are currently browsing the category archive for the ‘Dennis Cotter’ category. So there I was, about to attempt a fancy, swirly sourcream pattern in some beetroot soup when I realised that the blobs had shaped themselves into a cute Scottie dog – or should that be a West Highland terrier? Hmmm, I thought. You can get coffee art, so why not (accidental) soup art? I’ve invented soup art! Then I remembered that soup art already exists – in restaurants. That’s what they do. Oh well, it was still extremely tasty and a rather vibrant pinky-purple to boot. And there’s a sneaky, hidden ingredient to make this a proper winter warmer… vodka! Only a teeny bit, mind – 2 teaspoons per serving. Just enough to give a little kick. 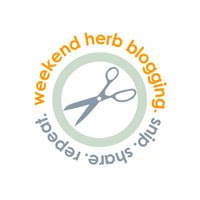 But, seeing as I’d like to enter this recipe for the Weekend Herb Blogging event (hosted by Kalyn’s Kitchen), let’s concentrate on the beetroot and what it can do for you, as I think we all know what the vodka does in large enough quantities. And how. Beetroots are an excellent source of folic acid and a very good source of manganese and potassium. However, don’t throw away those beet greens – they’re even more nutritious because they’re richer in calcium, iron and vitamins A and C, as well as containing magnesium, phosphorus and vitamin B6. Beetroots have long been used for medicinal purposes, mostly to treat liver disorders, because they stimulate the liver’s detoxification process (bringing us back to that vodka…). The amazing colour comes from a pigment called betacyanin, which is apparently a powerful cancer-fighting agent. Beet fibre has been shown to have ‘a favourable effect on bowel function’ (such a lovely way of describing it). Those last two points mean that beetroot is thought to help protect against colon cancer. So there you go. Beetroot – an all-round winner in the ‘good for you’ stakes, as well as being pretty to look at (once cooked, admittedly) and a pleasure to eat. What more could you possibly want? 1. Cook the beetroot in boiling water until tender, then peel under cold running water and chop coarsely. 2. Meanwhile, chop the onions, garlic and fennel or celery, heat some olive oil in a pot and cook them until the onions are soft. 3. Chop the potato and add it to the onions, along with the beetroot, the stock and your chosen herb. Bring this to a boil and then simmer, covered, for 30 minutes, or until the potato starts to break down. Add the cayenne pepper and the balsamic vinegar. Blend the soup to a smooth purée, season well with salt and pepper. 4. Pour the soup into the bowls and put a teaspoon or two of vodka into each serving. Then drizzle a little bit of sourcream over the top and serve. I’d maybe double the amount of potato suggested but that’s just because I like a really thick soup. Vodka – I tried the soup both with and without it, and it works both ways. So if you don’t want alcohol in your lunchtime soup, don’t worry, it’s still delicious. *The fantastic beetroot facts came from The Encyclopedia of Healing Foods by Dr Michael Murray and Dr Joseph Pizzorno, with Laura Pizzorno.